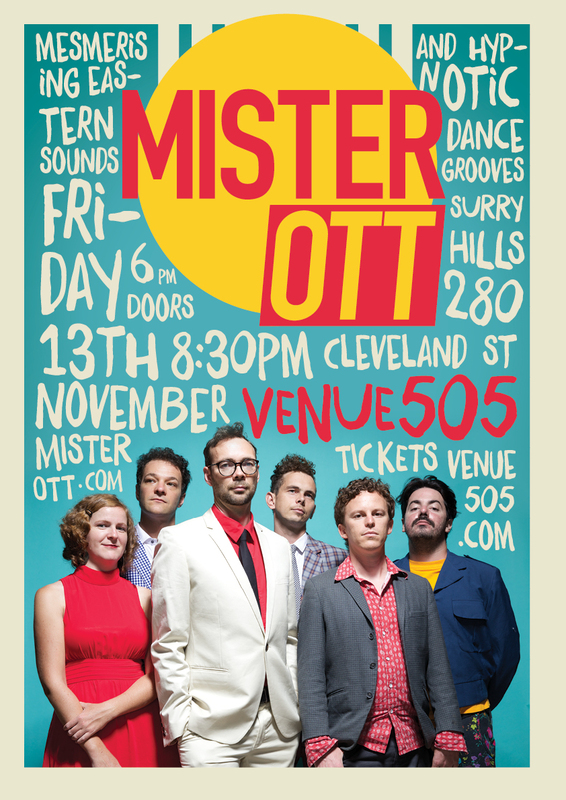 Mister Ott returns to Venue 505 Saturday Sep 1st as part of Sydney Fringe 2018. More info to come soon, but chuck it in your diary. You won’t want to miss as last years gig was killer. It will be exactly the same band as last time, only we will be featuring new material as well as stuff from our first 3 albums, all over two action packed sets. Here’s a video from last year! This entry was posted in News and tagged Ben Panucci, Carlos Adura, Daniel Pliner, David Symes, Ellen Kirkwood, Funk, Jazz, Matthew Ottignon, Mister Ott, Venue 505 on July 13, 2018 by misterott. This entry was posted in News and tagged Ben Panucci, Daniel Kennedy, Daniel Pliner, Eden Ottignon, Ellen Kirkwood, Ethio Jazz, Funk, Jazz, Mister Ott, Mr Ott, Venue 505 on October 12, 2015 by misterott. We have a massive night planned. Mister Ott will be in extended 8 piece mode with Peter Farrar on sax and Steve Marin on percussion and I’m proud to announce that there will also be four incredible dancers assembled by Fenix Icatu, specialists in dancehall, house, popping etc. We saw Fenix and Miguel last year at 505 and I am very excited to say that Fenix will be back again this time with 3 new dancers in tow. 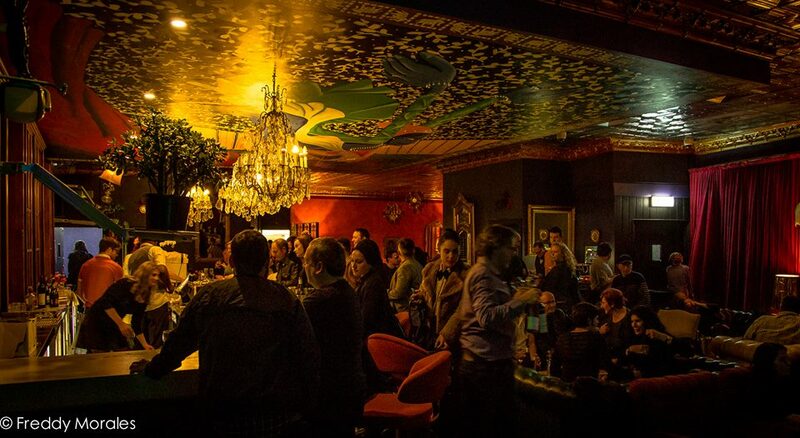 Doors open at 6pm for those who want to have dinner there and get in early for the cocktails! The poster says 7:30pm doors, but they will be open from 6. Book tickets now for this Saturday. 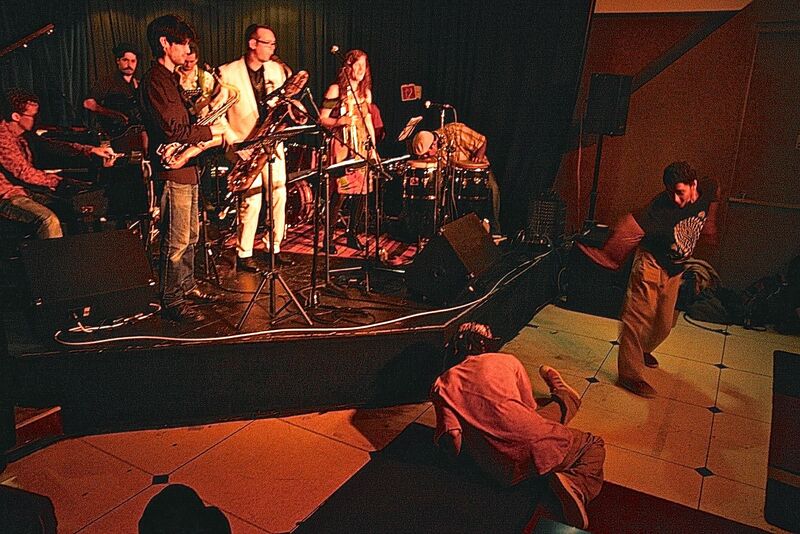 To check out the vibe here is a video from last years 505 gig. This entry was posted in News and tagged Ben Panucci, dancers, Daniel Kennedy, Daniel Pliner, East African, El Chino, Ellen Kirkwood, Ethio Jazz, Fenix Icatu, Funk, Mister Ott, Peter Farrar, Slowpoke Rodriguez, Steve Marin, Venue 505 on June 24, 2014 by misterott.